The softphone beta allows individual users in an account to opt in to the latest version of the built-in CallTrackingMetrics phone. The current beta version of the softphone offers an improved interface and a contacts panel for a better softphone experience. To learn more about how to use the different softphone features, click here to browse our softphone help articles. We’d love to hear your feedback! Click here to let us know what you think. The beta toggle is activated on a per-user basis. Any CallTrackingMetrics user can enable the softphone beta by navigating to Settings → Your Profile and clicking the beta toggle found at the top of the page. If you experience issues at any time when using the softphone beta, we recommend submitting a ticket and turning the beta off if needed. What’s Different in the Beta? For the most part, you will notice cosmetic differences in the softphone beta. A toolbar at the top of the phone window contains your profile image, status selector, contacts shortcut, and settings button. The functionality of all the softphone buttons has not changed. 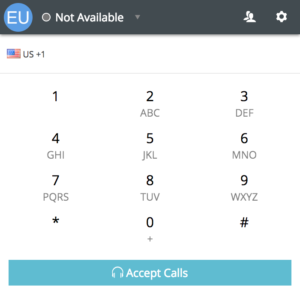 The status selector will display whether you are currently accepting calls, unavailable, on an inbound call, on an outbound call, or set to a custom status available in your account. 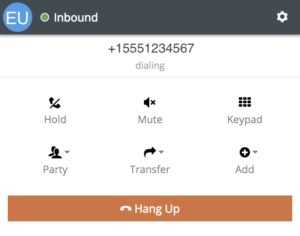 When you are using the pop-out version of the softphone, click and drag to make the window wider and reveal the contact panel. This shows the most recent contacts from your call log. Click the name of the contact you wish to dial. 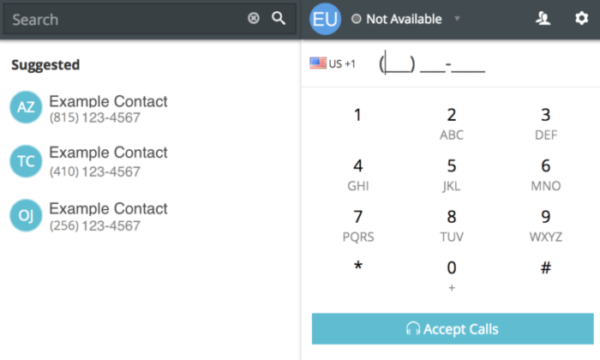 If you are typing a phone number into the dial number field in the softphone, the contacts list will update to show suggested contacts based on the number you have entered. The desk mode version of the softphone will show the phone toolbar in line with the call log toolbar. Clicking the contacts button from this view will direct you to the search bar to find the contact you’re looking for in your call history.